Owning to a large infrastructure base in the prime vicinity of town motivate us to work precisely and complete all the orders on timely basis. 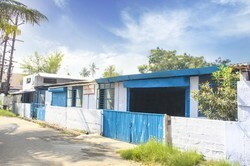 We have maintained all the modern machinery and tools at our base. Also, this unit is parted into several categories so that all the tasks should be accomplished easily without facing any hassles in the work. Our quality control base is equipped with the modern CCTV cameras that record the entire process of testing and ensure defect free delivery of products from our side. 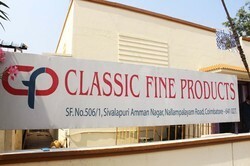 A Manufacturing Unit of Classik Group Of Companies . To offer our regarded customers with quality products, we have manufactured unions with an immeasurable and true vendor base. 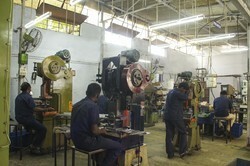 Our merchants are known to utilize quality parts and transforming procedures while creating the extent. We pick our merchants on the premise of their business sector position and validity. Some different reasons that we remember while selecting our vendors incorporate their area mastery, auspicious conveyance, money related solidness and bundling guidelines. Because of this exceedingly famous vendor base, we can pander to the various necessities of clients inside the stipulated timeline.